The Consortium of Medical Engineering and Dental Colleges of Karnataka (COMEDK), Bangalore had conducted All India Undergraduate Entrance Test (UGET 2014) on 11th May 2014, in 134 centres across Karnataka. According to the students who have written the examination, this year, ComedK UGET 2014 exam was easier than Karnataka Common Entrance Test (KCET) 2014. These students also complained that Mathematics paper was very tough. 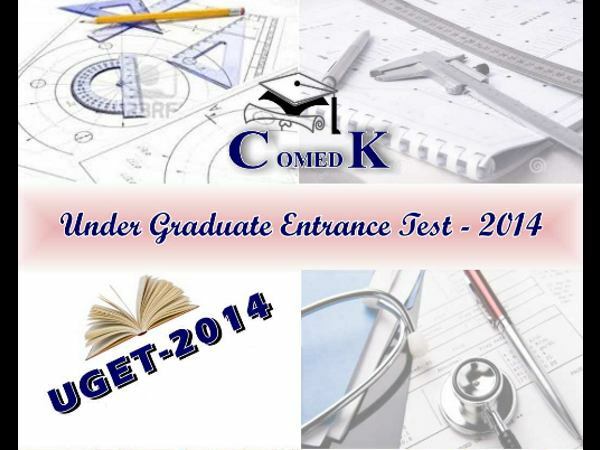 Comedk UGET 2014 test results will be declared on 02nd June 2014. Candidates are advised to visit the official website of ComedK to get the UGET 2014 results. As many as 96,100 candidates (Medical, PCB - 45235 (47%), Engineering, PCM - 38,295 (40%) and both, PCMB - 12,570 (13%) are writing the Test in 134 Centers in Karnataka. Approximate Undergraduate seats available to be filled through COMEDK during 2014-15 are 17698 Engineering, 835 Medical and 766 Dental. UGET 2014 is the qualifying entrance examination, which was conducted for admission to Medical, Dental and Engineering coures in Comedk affiliated institutions across Karnataka.